Construction has started on our new building! 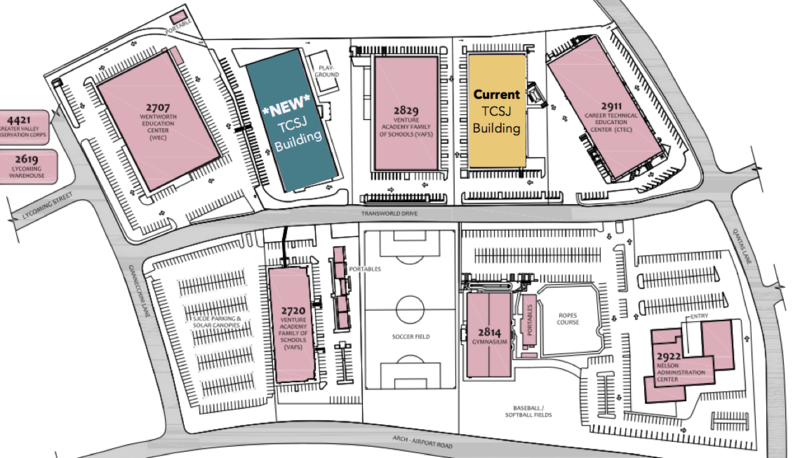 TCSJ's new building will be two buildings over from our current space: 2721 Transworld Drive Stockton. The new building will be two stories and 20,000 square feet larger than what we would have had in our current building. We will have office space for existing and new TCSJ staff, up to 30 classrooms, and plenty of room for teachers and faculty to meet, share, learn and collaborate.